COPENHAGEN, DENMARK - JULY 25: Nyhavn District Is One Of The Most Famous Landmark In Copenhagen. 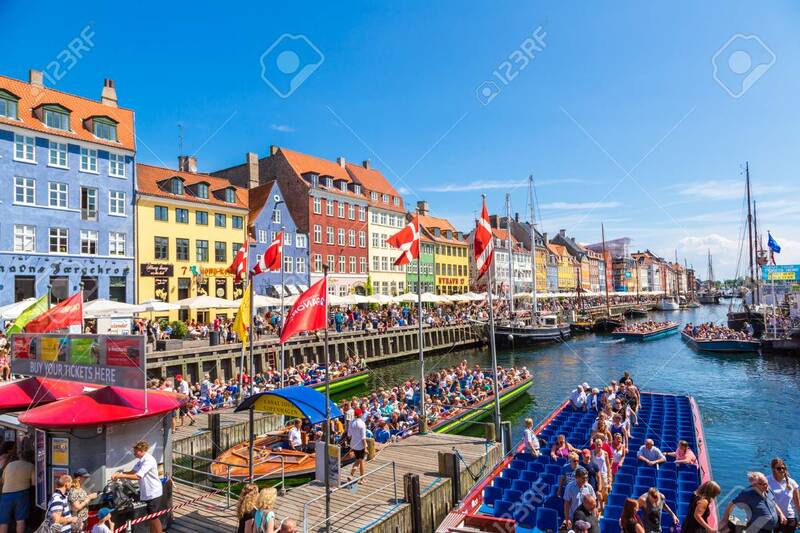 People Enjoy Sunny Weather In Open Cafees In Copenhagen On July 25, 2014 Royalty Free Fotografie A Reklamní Fotografie. Image 38256530.